With advocacy at the core of our mission, it is important that we make sure our voice is heard not only locally, but at the national level as well. For the fourth consecutive year, PACNY participated in National Historic Preservation Advocacy Week in Washington, D.C. Joining colleagues from the New York State Historic Preservation Office and the Preservation League of New York State, Murray Gould, PACNY President, attended briefings on federal budget negotiations and targeted legislative efforts. 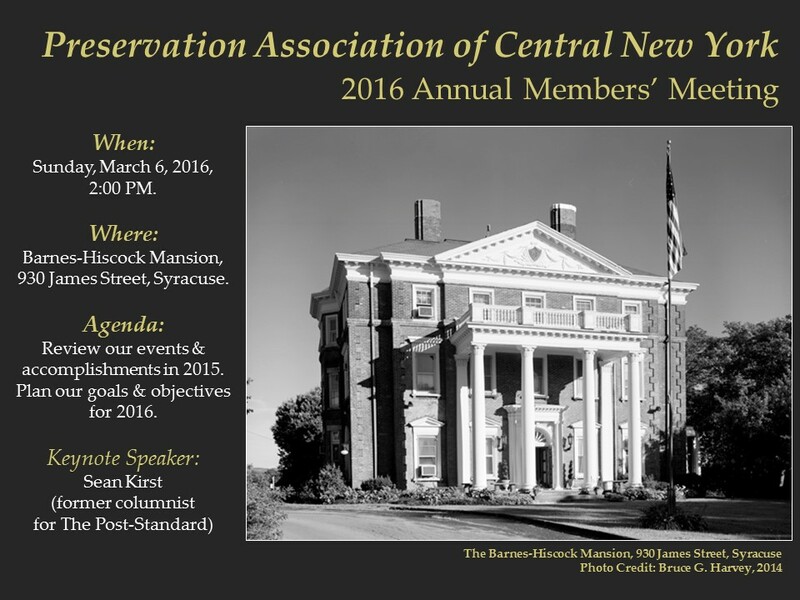 National Historic Preservation Advocacy Week was March 8 to 10. 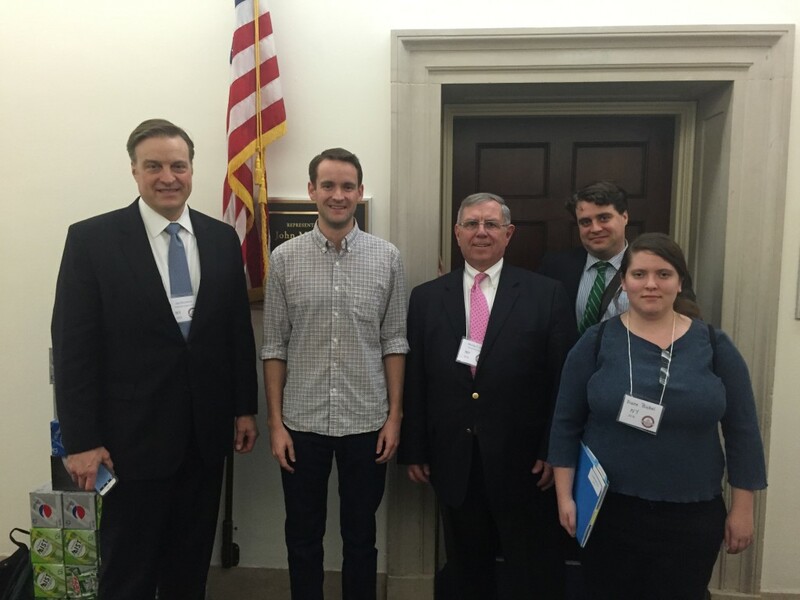 From left to right: Jay Dilorenzo, Preservation League of NYS; Zach Howell, Legislative Director for Congressman John Katko; Murray Gould, PACNY President; Dan McEneny, NYS SHPO; and Diane Bickel, University of Maryland. Click for a larger view. PACNY was particularly pleased to meet with Zach Powell, Legislative Director for Rep. John Katko, and offer our sincere thanks for Katko’s ongoing support of the Harriet Tubman House in Auburn. Gould also thanked Katko for legislation he recently introduced that would authorize a study of Fort Ontario and the Safe Haven Museum in Oswego to become a National Park.